Home » Otaku Fandom » Let the Short Film Festival Begin! 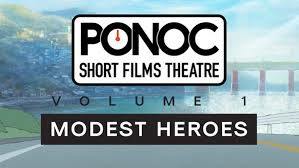 I am so excited for Studio Ponoc to continue with the Short Films Theatre anthology series that they have started with this collection titled Modest Heroes. The three short films that they have collected here with the theme being – ‘Life’ – have created such moving and relatable stories that had me in-between feeling warm and cozy, and clinging to the edge of my seat trying not to cry. The pacing of these films made me forget that they were all less than 30 minutes, and at the same time left a feeling of loss that it was over so quickly, but then the next film transitions in. You quickly pull yourself together from that reeling sensation of digesting the message of the film and your thoughts and emotions and you get ready to hop into the next one. This created a satisfying sensation and then mixed with the excitement of another story about to be told. The films did not tie into each other at all. Each one was made by a completely different director and they were not made privy to the stories each other was writing. Although according to the producer, Yoshiaki Nishimura, they were doing their best to out-do each other. I don’t want to give a serious breakdown of each film, but I highly recommend you see these when they become available to you. Growing up has never been such a journey as when you are a crab-type being and you’re trying to avoid being eaten by a jagged-tooth fish. Two young siblings embark on a journey to reunite their family after they lose their father in an undercurrent while their mother has gone away to give birth. This reminded me of salmon going upstream to lay their eggs, except they’re crabs. It’s a very endearing film, almost completely without dialogue, so that you focus more on the emotion and determination in these children as they are forced to put on their grown-up pants in order to find their father and make their way back to their mother. This story was very interesting as we are watching a mother raise her son who has a severe egg allergy. As someone without any known allergies, seeing people with allergies trying to live their lives is fascinating to me. Now toss in an allergy that is practically a hope and a prayer to avoid, and I am genuinely worried for this child because he can’t even have one of his friends talking over his food in case they might have some wayward egg-infected mouth spray hit his food and then his life is at risk. But he’s such an average kid, coming into his own and so independent, and his mom is growing as well, that I kept forgetting – until they brought out the allergen chart – that this kid has a life-threatening allergy. Wake up in the morning and get ready for work, head out the door and hop on your moped. And by the way, no one can see you. You are unseen by the world around you. Weightless, to the point where you could float at any second. No one knows your name, you try to get their attention and they look right past you. Is this all a big metaphor or are you Toru Hagakure and you need Eraserhead to shut off your quirk? I can’t say for sure which one, if either, is true, but I can tell you it made one great story that threw me into a momentary existential crisis in the theater. Final thoughts: Short Films Theater is awesome and we need more of this! Another thought, we need more anime series premiere showings in theaters, more anime films in general (insert nod to the Mob Psycho 100 Season 2 early showing that premiered in theaters. 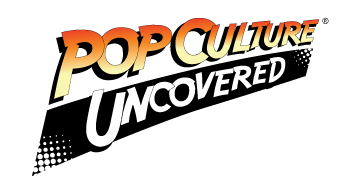 I didn’t get to see it, but that doesn’t make it any less amazing.). I’ve never experienced so many anime films on the big screen (outside of international film theaters) as I have recently and it’s a wonderful feeling. I am so glad that Fathom Events, GKIDS, Funimation, etc. are bringing all of these amazing films to us in our mainstream theaters.